It might be fair to say that Tech N9ne has finally caught the world. After a long year of praise from nearly all corners of entertainment and media, the list of names entering Strangeland continues to grow. The latest visitor is WWE superstar and Hollywood action star, Dwayne “The Rock” Johnson. Dubbed ‘The most electrifying man in entertainment”, The Rock has become a staple in Hollywood blockbusters and inside the squared circle. 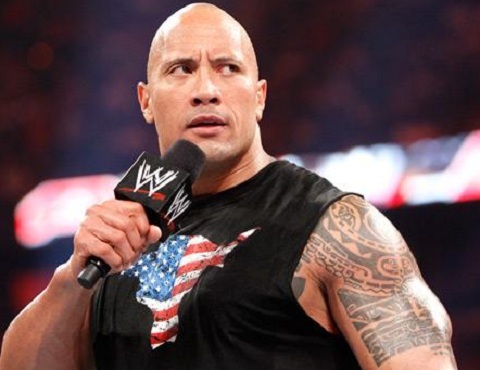 Recently a fan asked The Rock what he listened to during his intense workout regiment. The Rock answered with his list of favorites, and much to everyone’s surprise, revealed that Tech N9ne was included on his playlist. As a big fan of aggressive hip hop, it’s easy to see why “The Great One” would be drawn to Tech N9ne’s unique sound. Perhaps we can expect to see The Rock get his “Riot Maker” on when heads to WrestleMania XXVIII to face John Cena in the main event. Did you know The Rock was a Tech N9ne fan? What do you think he listens to from Tech N9ne? Leave your thoughts below!